Ever look in your wardrobe and think, "I have nothing to wear"? Well, you're not alone. Most men have a plethora of clothing at their disposal, but more often than not, the pieces they have are either poor quality or feed into a trend that faded quicker than an X Factor winner's career. 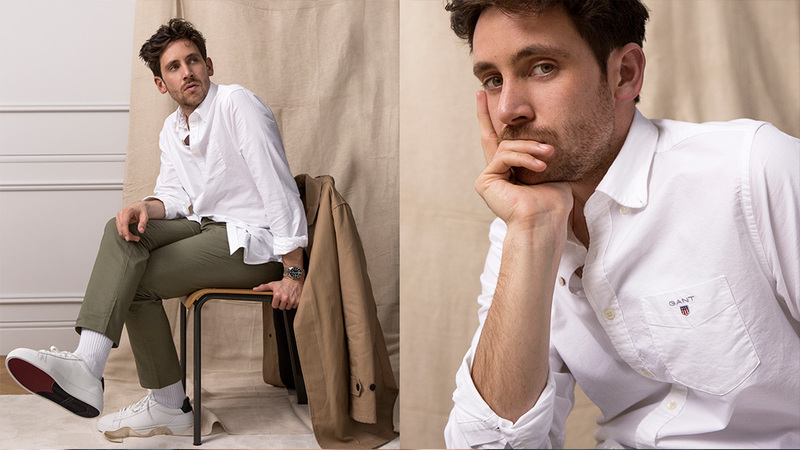 That's why we've recruited Charlie Teasdale, Esquire UK's style director, to share some of his favorite menswear staples; the tried-and-tested pieces that have lasted the test of time but can still be styled into modern, trend-driven outfits. The history: In the '40s, the only way to acquire a button down shirt was by custom-ordering. GANT was the first brand to offer button down shirts to the broader American market after seeing the need for smart, well-made sporting shirts. 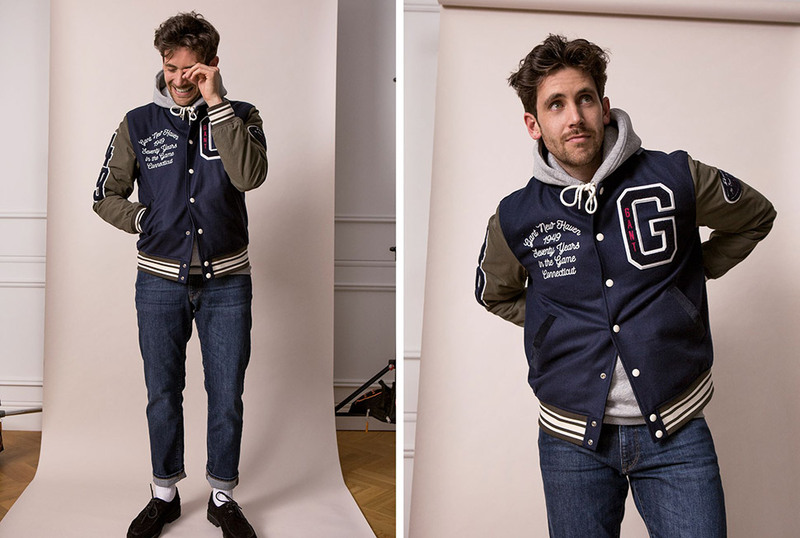 How Charlie styles it: "In terms of styling, it’s a really great mid-layer so you could put it over a white T-shirt or even a vest. Try tucking the T-shirt or vest into the trousers and have the shirt open on top before finishing with a shirt jacket. "The best thing about a white button down is that you can wear it on its own and it looks effortless. It also has the advantage over a poplin shirt as it looks smart but it's not a business shirt. For summer, or any time of the year really, it’s great for slouching around in while still looking respectable. It's the perfect shirt." The history: Rooted in American sportswear, originally worn by boat club members and characterised by its gold buttons. ow Charlie styles it: "I often get asked about menswear essentials and one thing that's always on my list is a blue blazer. 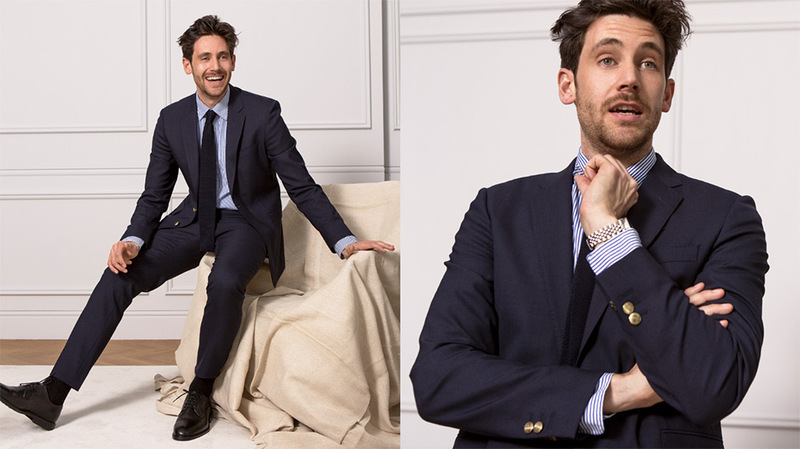 A preppy blazer is the kind of piece you could wear with just a crew neck tee and chinos, but here, I went for the full suit—because no man looks bad in a navy blue suit." The history: After World War II, returning American soldiers learned to love the functional aspects of their uniforms (chinos, button down shirts, military boots) and decided to adopt them into civilian outfits. How Charlie styles it: "Slim chinos are the ultimate go-to. The good thing about this pair is that they come in a 30" leg. I don't necessarily like my trousers cropped, but I also don't want them to break over my shoes, so these are a really good example of a pair of well-fitting chinos. "They also have a bit of stretch in them so they're really comfortable. They're still smart though, so if you wanted to wear them with a navy blazer, you could. Here, I've chosen to color block by pairing them with this amazing white denim jacket. To break it up, I've added a white tee and a check shirt underneath, adding just a splash of detail." The history: The first top to feature a button down collar, thought up by polo players in the late 19th century to stop their collars from flailing around in the wind during matches. How Charlie styles it: "Polo shirts are a classic menswear staple and they also feed into the preppy trend that's happening right now. They have the capacity to look a bit square, but that's easily fixed with a few styling tricks. If you wear one under a blazer like a shirt, and go for a tonal look, it doesn't feel so golf. I’ve styled it here with some jeans and black lace-ups. It's a nice mix of super comfortable and dressed-up." The history: In 1823, the rugby shirt was born alongside the game of rugby. The shirt responded to the need to tell teams apart while offering up a garment with comfortable functionality. 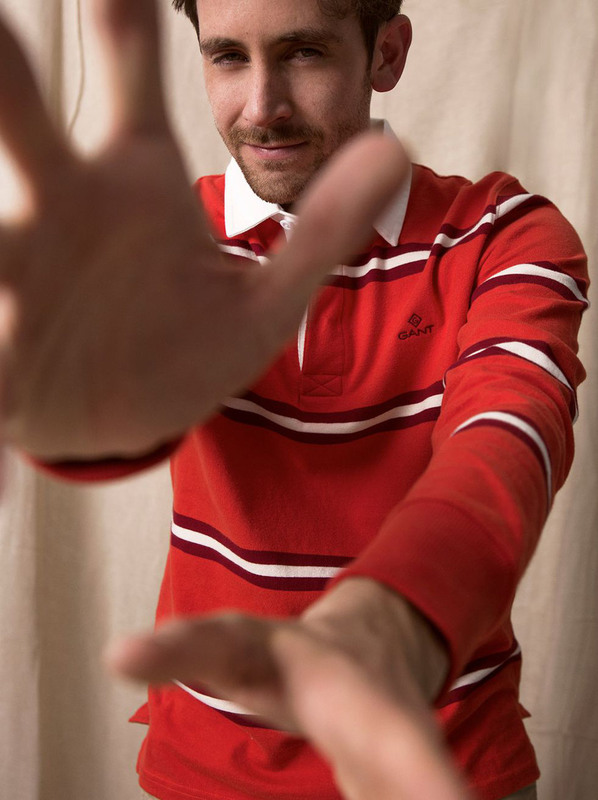 How Charlie styles it: "The rugby shirt is having a real moment right now. I’ve worn it here with classic beige chinos, white socks, and chunky boat shoes and the look is very, very Ivy League. "The fit here is key. If your rugby shirt is baggy then it will look a bit like what you wear at the weekend. If it fits well and has a square hem that doesn't run too low beneath your waistband, it will look smart." The history: Ivy League colleges (beginning with Harvard's baseball team in 1865) awarded their student athletes with letters, numbers and medals to mark their achievements. These then adorned jackets and sweaters. How Charlie styles it: "I chose to go quite '50s with this look by pairing the jacket with jeans, white socks, and black shoes, because I couldn't see it being worn over a shirt and tie. For me, it works best over a crew neck jumper or a hoodie. 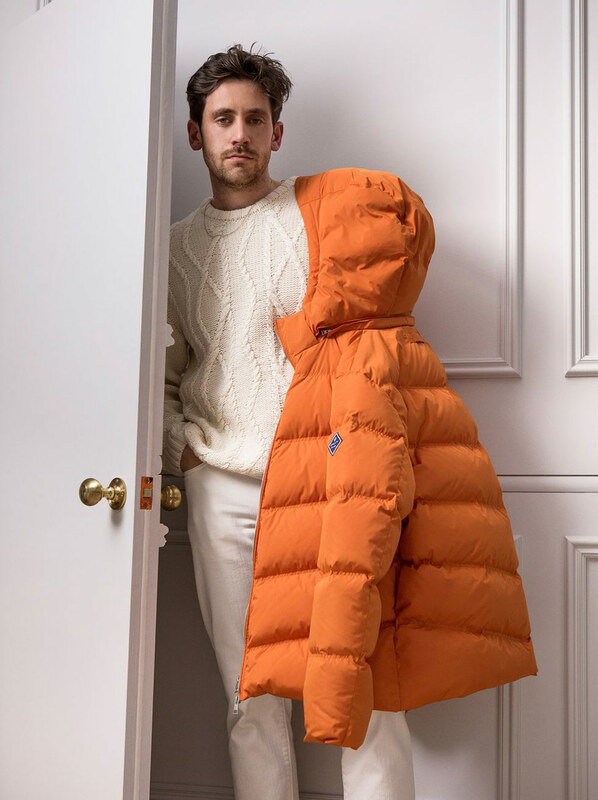 "Make sure your jacket is fairly snug and a little bit cropped"
"In terms of fit, make sure your jacket is fairly snug and a little bit cropped. You should also be able to close it. When it's done up it should hold you in slightly—that’s the right shape." The history: Cable knit sweaters originate from the Aran Islands, just off the west coast of Ireland. The purpose of this chunky jumper was to protect the islanders from the harsh Atlantic weather. How Charlie styles it: "The cable knit is so cozy and comfortable, plus it's really easy to wear. Depending on where you work, I'd suggest tucking it into tailored trousers and teaming with a pair of smart shoes. It will then instantly feel like a statement jumper. "This one I'm wearing is really warm and also provides a nice base if you wanted to add a pop of colour, like I’ve done here with the coat. I'm calling this look 'tonal alpine chic.'"